What Does Google's Mobile Friendly Update Mean For My Website? In a move that industry experts have seen coming for a while now, on April 21st, Google will be releasing yet another algorithmic change which is being called the "mobile friendliness update." This is expected to be the most significant alteration to their search algorithm in Google history, with an estimated 40-50% of websites being affected. So what does this mean for your business website? If you have been reading our blog for a while now, you may have noticed that we just recently released our own brand new responsive website for our digital marketing agency at www.pageonewebsolutions.com. We completed our new site just in the nick of time, three weeks ahead of this pending update. 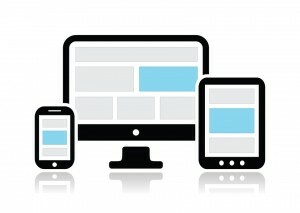 If you have already developed a responsive website, kudos to you! You are already prepared for this significant shift in how Google ranks websites regarding to mobile searches done on Google. If you are in the process of developing a new responsive website for your business, time is of the essence! The update is only two weeks away, so if you are in the homestretch of your project, make the time over the next two weeks to push across the finish line and get your new site live by Monday April 20th! If you have not yet begun the process of developing a responsive website for your business, THE TIME TO START IS RIGHT NOW. Everyone here at Page One has been emphasizing the importance of responsive design to our client partners since late 2013, but naturally there are some businesses we spoke with which, for whatever reason, didn't feel that this was a priority. We strongly advise all business to get started on responsive web design if they have not already done so. Not sure if your site is considered mobile friendly? Run your site through Google's Free Mobile-Friendly Test to find out. More than 50% of Google queries are now done on mobile devices rather than desktop or laptop devices. This fact alone speaks to the overall trend in our industry, and the critical importance of making sure that your business does not start lose the largest source of Google traffic as we move into Q2 of 2015... MOBILE! If you are interested in learning more about responsive web design, please contact us or leave us a comment in the section below.